Anyone considering a 7-seater premium SUV owes it to themselves to check out the excellent 2018 Audi Q7. The life of a soccer mom isn't easy. These five cars make it a lot more fun. Valentine's Day is about love. And we love, love, love these swoon-worthy cars. 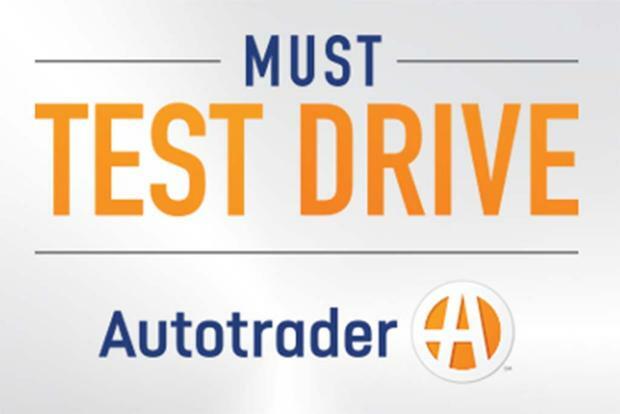 It's that time again: After a long year behind the wheel of just about every single new car, truck, SUV and van on the market -- in virtually every driving condition, from rugged roads to carpool duty -- we've decided on the handful of new models that absolutely deserve your consideration -- and your test drives. It's our list of 12 Must Test Drive Cars of 2017. Choosing the cars on this list wasn't an easy process. In fact, we raised the total to 12 vehicles compared to last year's 10 simply because there were too many cars and trucks we all agreed should be on the list. Although we've spent time driving dozens of new cars this year, we only wanted to pick a few of our favorites -- and we did it with some important items in mind. Each model on our list must be available for $75,000 or less, for example -- and each vehicle needed to be available for our editorial and data team staff members in our Atlanta offices no later than March 8, 2017. We also limited our list to cars the general public can actually buy today. More importantly, however, we decided that each of our "Must Test Drive" vehicles should offer some unexpected benefit or feature that would change the way you think of the car or brand in question -- rather than just the same items you can get in every competitor. It was also important that each vehicle presented a good value, earning an average score of 3.5 or higher on our 5-point assessment scale. And we decided no car would make the list unless it was agreed upon unanimously by the entire editorial team. The main questions we considered were: "Is this car unexpectedly good? And would it be worth a car shopper's time to test drive this car before making a final decision?" With all that criteria in mind, it might sound difficult to choose the cars for this list -- and it is. 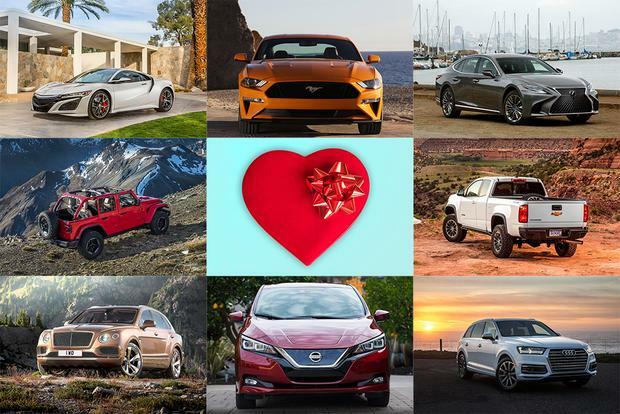 But after a lot of discussion, these are the 12 new 2017 models we're certain you really must test drive -- along with commentary about why we think each car deserves a spot on our list from executive editor Brian Moody, managing editor Tara Trompeter, data manager Ben Cheney, content specialists Dwight Cunningham and Tommy Flanagan and content producer Rob Nestora. These vehicles aren't ranked, but rather listed in alphabetical order. 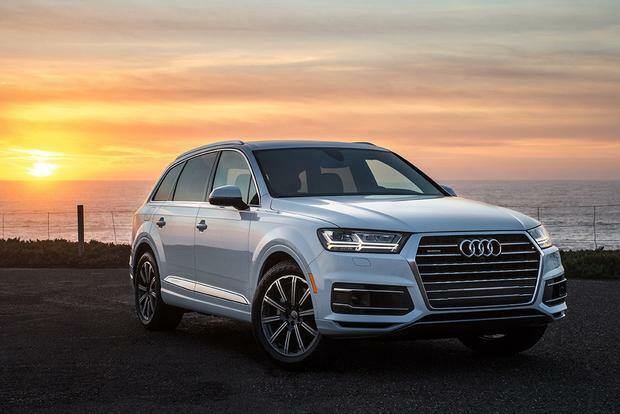 Given its impressive new design and luxurious interior, you might think the Audi Q7 would've been an obvious choice before we even got behind the wheel -- but that's not entirely true. In fact, many of our editors found the previous Q7 to be overpriced and lacking the elegance of other Audi vehicles. If you're in that camp, even a brief stint in the new Q7 will change your mind. As Tara said, "This thing is the definition of luxury." That sentiment was echoed by everyone on our staff, with Dwight calling the Q7 "what a modern SUV should be," and Ben insisting that it was "just plain perfectly executed." 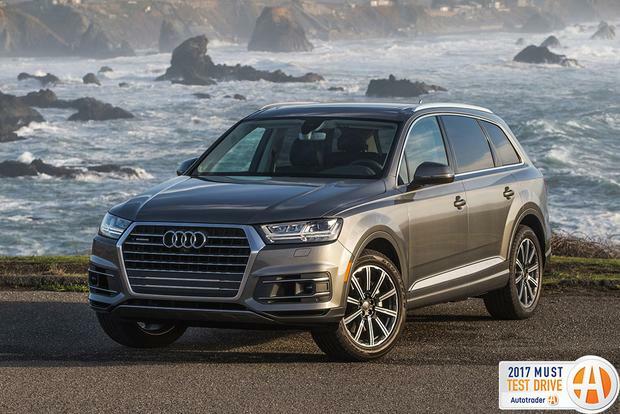 One of only a few vehicles on this list that needed no discussion at all, the Q7 is a class act all around -- and it meets or exceeds expectations across the board. Pricing can get high, as it starts from $50,000 with shipping and can easily cross the $70,000 barrier, but the Q7 does everything right: Tommy called it "the most comfortable and best equipped SUV I've ever driven." Automotive marketers like to throw around hyperbolic catch-phrases and terms like "game changer" -- even though it rarely fits the car in question. 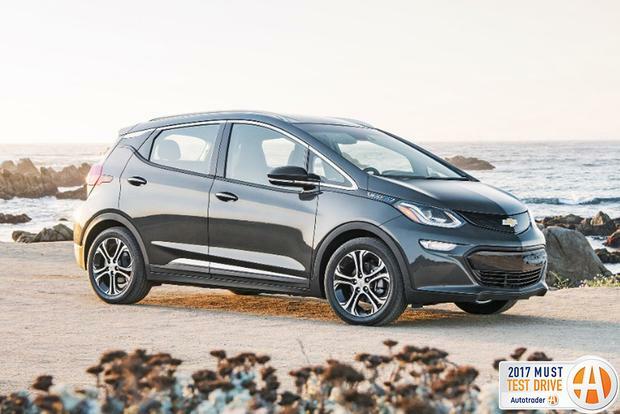 This time, however, the description is perfect, because, as Ben said, the Chevrolet Bolt EV is "the car of the future." A brand-new, fully electric hatchback, the Bolt touts an Environmental Protection Agency (EPA)-estimated range of 238 miles between charges -- more than all its plug-in EV competitors, except for Tesla. But the Bolt doesn't have a Tesla price, as it starts at a surprisingly reasonable $37,500 with shipping and before tax incentives. More importantly, it finally feels like a car worthy of that "game changer" description -- words used by both Ben and Tommy to sum up their time with the Bolt. Dwight also noted that anyone can drive it daily, a function of its impressive range, which we easily exceeded. And for drivers who aren't sure if they can fit their lifestyle into a hatchback, Tara -- mom to two young kids -- called it "way more versatile than you might think." Among EVs, the Chevy Bolt is a worry-free car that simply works in the real world exactly as Chevrolet says it should. If you're looking for an EV or even a hybrid, test drive the 2017 Chevy Bolt. The brand-new Chrysler Pacifica is turning a lot of car-industry heads, if only because it improves so dramatically on its mediocre but top-selling predecessors -- the Chrysler Town & Country and Dodge Grand Caravan. Starting from just under $30,000 with shipping, the Pacifica now goes head-to-head with the best, and according to Ben, actually manages to eek out the title of "best minivan on the market." Brian called it an "excellent family car," while Tara calls it "the first one that'll really make you rethink your anti-minivan stance," especially due to its car-like ride and impressive list of features and equipment. We also like its handsome styling and its prioritization of convenience above virtually all else. 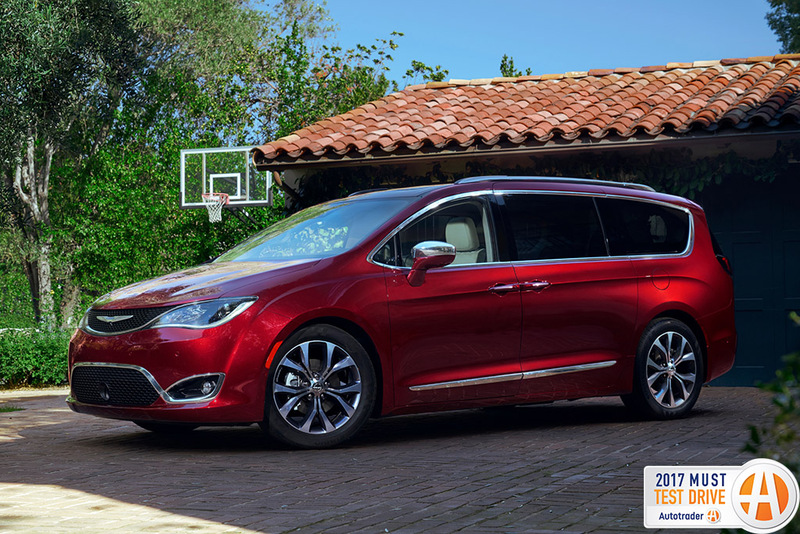 Perhaps the best praise of all comes from Dwight, however, who calls the Pacifica "a minivan that your kids will almost not be embarrassed to be seen in." You might be surprised to see an enthusiast-oriented off-roader truck on our list instead of a standard pickup model, but it's hard to ignore how good the Raptor really is for its audience. Sure, it's expensive, as prices start from $50,200 with shipping and can rise considerably from there -- and it's not very efficient, either, with its 450-horsepower turbocharged V6 delivering just 15 miles per gallon in the city and 18 mpg on the highway. But how do you ignore just how cool it is? 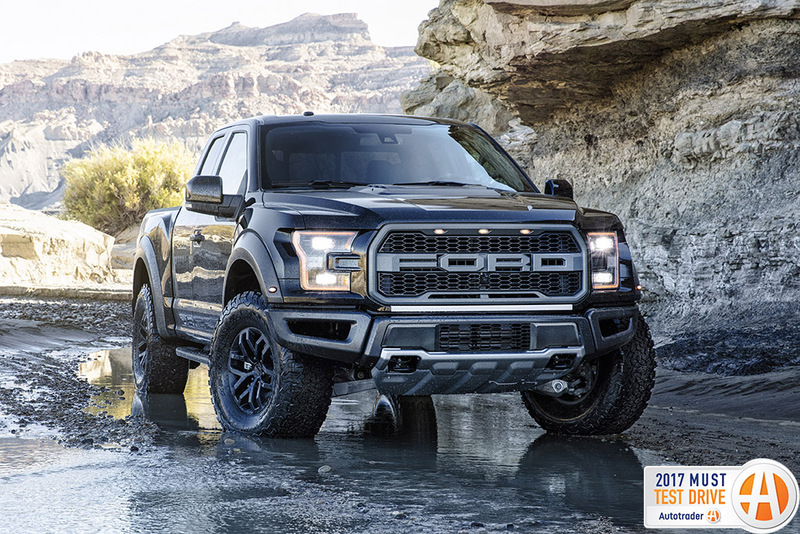 Rob called it "a monster in the best way possible," while Ben referred to it as the "most 'real' off-road pickup on the market," accurately noting that "Most off-road variants have larger tires and a few decals -- but not this." That's exactly right, and that's exactly why we love it so much. We also love that it's roomy, and that it's loaded with high-tech features that wouldn't seem out of place in a luxury car. As Dwight asks: "Is there anything this massive truck can't do?" Right now, compact SUVs are hot, making up the fastest growing segment in the car industry. 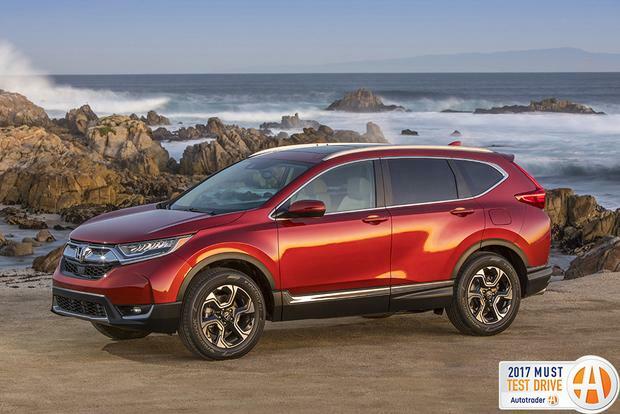 For many shoppers, the Honda CR-V has always been one of the go-to small crossovers -- but we thought the outgoing model wasn't quite special enough to distinguish itself from the competition. The new model, however, is a home run. Ben calls it "Honda's best-executed vehicle," while Rob says it's "definitely a step up over the old CR-V" in terms of styling, while further noting he really appreciates the way it drives; high praise for a small SUV that starts at just $25,000 with shipping. Brian says that "the interior is a notch or two above some other small SUVs," and notes that it "even has a more appealing look and feel than the larger Pilot." While all of our staffers noted numerous improvements over the outgoing CR-V, Tara summed up the model best by noting that it "stands out from the pack with its good-looking exterior, well-executed interior and loads of standard features." 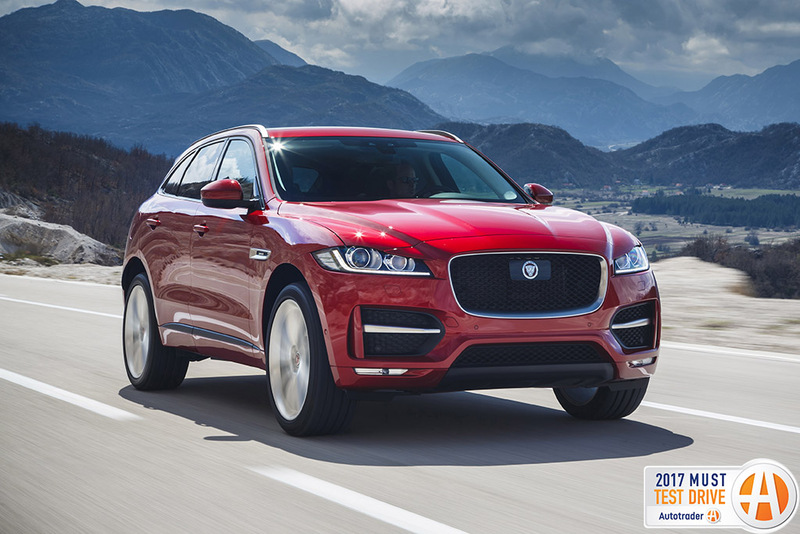 The Jaguar F-PACE is a sporty luxury SUV that finally marks Jag's entrance into the increasingly popular world of the high-end crossover. This, Dwight says, "brings in a new generation of buyers who never considered Jaguar as an option." It offers modern technology, handsome styling and two alluring engine choices: a 2.0-liter turbodiesel that returns an amazing 26 miles per gallon in the city and 33 mpg on the highway, or a sporty 3.0-liter V6 that sends the F-PACE from zero to 60 in around 5.4 seconds (there is also an "S" trim level that does zero to 60 in around 5.1 seconds). Brian notes that the crossover's "engine, handling and braking are all perfectly balanced to deliver fun and comfort." It's not all about performance, though. Tara notes that it's "super stylish, fast, fun and -- believe it or not -- practical," further remarking, "If you want utility and luxury but don't need a third row, this should 100 percent be on your shopping list." After years of being a good compact crossover but not exactly a class leader, the 2017 Kia Sportage has now reached our shortlist of the best small SUVs on the market. Ben describes it as "an awesome value," which is true -- given its reasonable starting price of $24,100 and its long list of equipment. 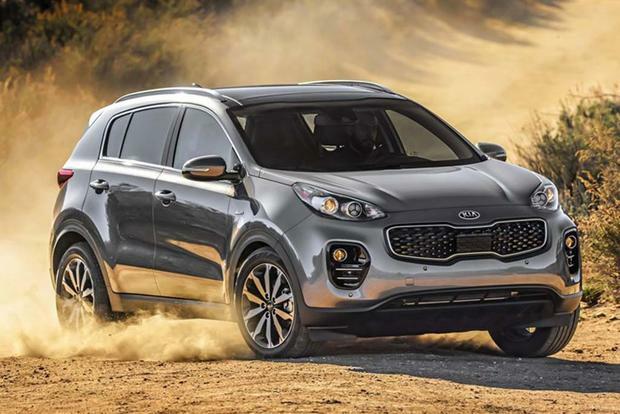 Brian noted he was highly impressed with the cabin's "high-grade materials" -- unusual in a compact crossover -- and also its styling, which distinguishes the Sportage from a lot of its lookalike rivals. 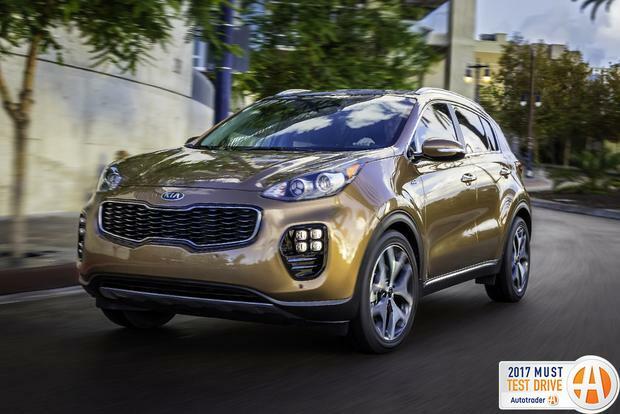 Tara called the Sportage "good-looking, well-equipped and nicely priced," while Brian also mentioned one other unique Sportage benefit: The surprisingly potent SX Turbo model, which is probably the most exciting compact crossover on the road thanks to 240 hp and 260 lb-ft of torque. The Lincoln brand is clearly in the middle of a resurgence -- and the flagship Continental sedan is proof. 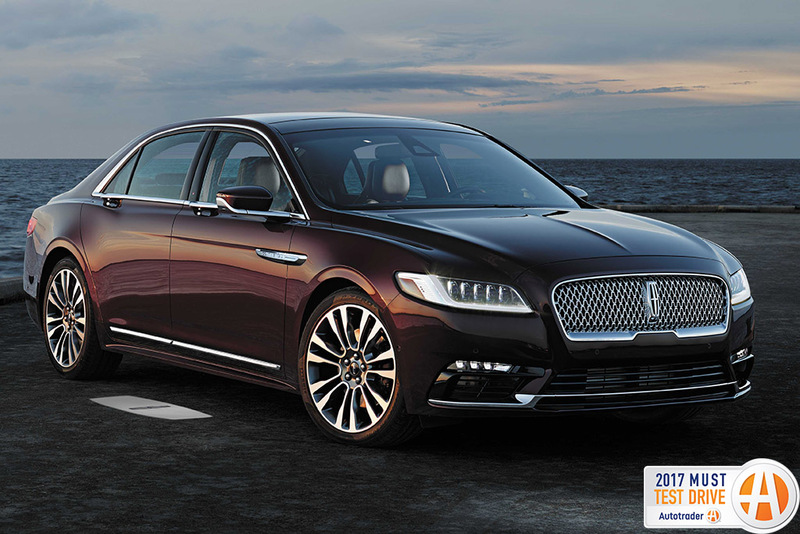 While Lincoln models have largely languished for the last decade, the past few years have seen improved interiors, better powertrains and gorgeous styling -- and the Continental seems to be the culmination of all of it. There must have been great temptation at Lincoln to create a retro-look Continental, but they didn't do that. Instead, they crafted a modern, state-of-the-art luxury sedan that also defines style and luxury. Starting at a surprisingly reasonable $45,700 with shipping, the Continental received unanimous praise from our staff, with Tommy calling it "the crown jewel in Lincoln's lineup," and Tara noting that "Lincoln can cut ties with Matthew McConaughey, because the incredibly luxurious Continental might be better looking than he is." Dwight predicts that "This will be the vehicle that brings Lincoln back into consumers' minds," especially calling out the Continental's upscale materials and ultra-luxurious interior, while Ben noted that he appreciates the sedan's interior quality, exterior styling and beautiful trim, summing up his experience by saying, "The phrase that keeps coming to mind is 'baby Bentley.'" With the recently updated CX-9, Mazda's transformation seems to be complete. 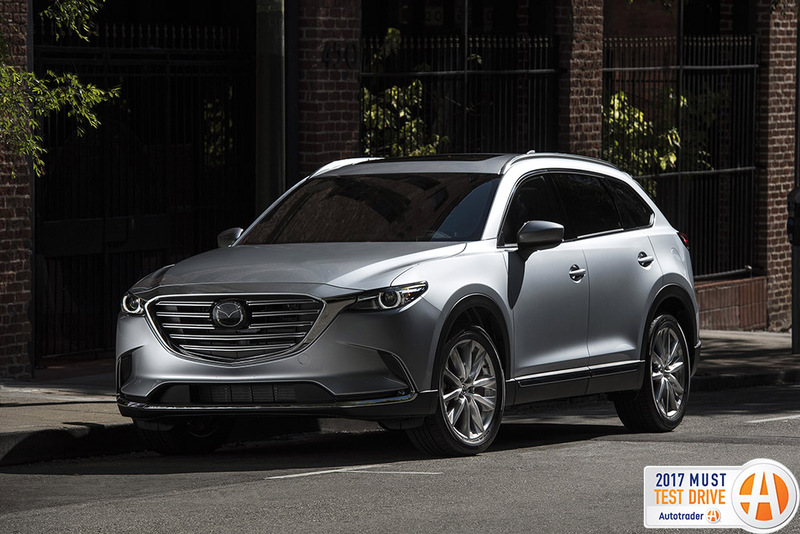 It started with the excellent CX-5 compact crossover and continued with the unusually elegant Mazda6 sedan and handsome new MX-5 -- but the latest CX-9 especially deserves a spot on your shopping list. Dubbed "the best 3-row under $50,000" by Brian, the CX-9 offers excellent utility and a gorgeous design, with Ben calling it "beautiful both inside and out." The luxurious interior is a huge benefit -- Tara notes that it shows car shoppers "You don't need to buy from a luxury brand to get a luxurious experience" -- as is the CX-9's 2.5-liter 4-cylinder engine, a surprisingly potent powertrain that delivers 227 hp and up to 28 miles per gallon on the highway. It's reasonably priced, too, with a base price of just $32,500 with shipping. Tara summed it up best: "If you need three rows, don't purchase an SUV without at least driving this one." 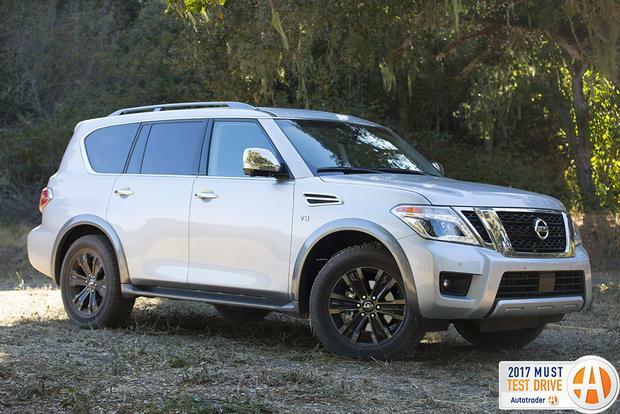 The Nissan Armada is finally all-new for 2017 after languishing on the market for an impressive 12 years -- during which time most rivals went through two or three designs. But the wait paid off, as the latest Armada touts some major benefits, like a versatile interior, a muscular 5.6-liter V8 that makes a whopping 390 hp, and a lot of desirable features. "Yes, it's massive," says Rob, "but it handles itself nicely," a remark echoed by several other drivers, as Dwight mentioned that "The biggest surprise is how well it drives for a large SUV" and Tommy commented that "It feels quite nimble and isn't underpowered." The base price of $45,900 isn't cheap, but the Armada offers a lot for the money as many desirable features (like navigation, push-button start, power front seats and Bose Audio) are standard -- and it almost seems like a luxury vehicle, with Tara calling it "beautiful inside and out." We imagine Porsche's engineering team said something like "This will be fun!" when approaching the Cayman's redesign. 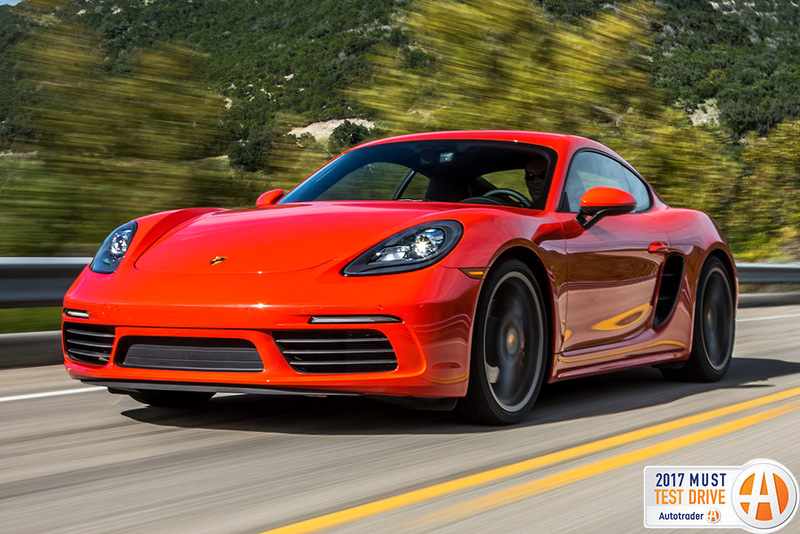 A combination of brilliant packaging (Brian reported that "the toolkit alone is inspiring") and a truly compelling on-road driving experience, the 718 Cayman's direct and in-command feel reminds us of the exact reason we love pure sports cars like this. Tara said, "You just feel on top of the world when you get behind the wheel," while Rob called it a "straight-up dream car." And while some editors complained of excessive road noise, everyone agrees the driving experience more than made up for any shortcomings -- with Ben calling it "THE Porsche to own." Ben also noted it can be a "great value for a midengine vehicle" with the right options, which is true -- but be careful: While the starting price is $56,350, you can easily crest $75,000 with extras. Brian summed it up best: "It's an excellent pure sports car with very few compromises." While previous Subaru models touted durability as an excuse for simple, uninspiring interiors and relatively dull driving experiences, the brand is no longer making such excuses. 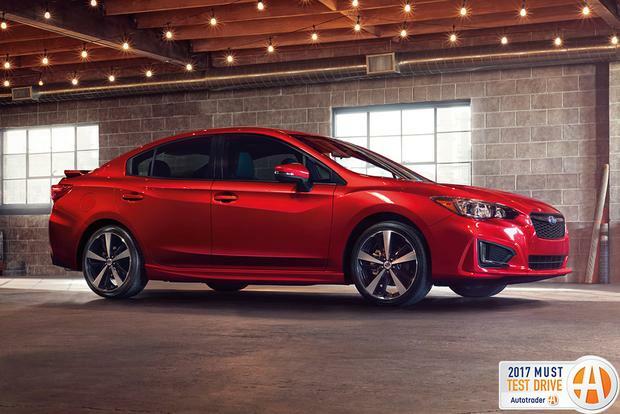 Subaru models still feel durable, but the latest Impreza and Legacy prove that a Subaru can also be stylish, classy and technologically advanced -- the latter clearly demonstrated by the brand's excellent EyeSight system of safety features. Dwight says the Impreza "has moved into the top three compact sedans" with its latest redesign, while further touting the excellent revised interior. Brian called it "quieter and more substantial" than its predecessor, while noting that "It's so much fun to drive," a mean feat considering its reasonable starting price of just $19,400 with shipping. He also called it "one of the best compact sedans available, second only to the redesigned Honda Civic." But the Impreza is available as both a 5-door hatchback and a sedan, and all-wheel drive is standard, something other small cars generally don't even offer. No matter how you look at it, the new Impreza has an edge on the competition. Small-sedan or wagon buyers: Don't sign the papers until you test drive the new Impreza.